We are, as a people, rather fond of imagining that stuff can make us happy. The objects and doodads and gadgets and trifles of our choking consumer cornucopia are all around us, each promising that perfect satisfaction is just one more purchase away. This is, of course, just completely wrong. The hunger for stuff just makes us fill our lives with clutter and stress. Happiness is utterly not dependent on things, and the having of things, and the desire for things. This is, without question, True. As deeply as I hold this to be one of the more vital insights of Christian faith, there are those moments when pleasure can come from stuff. Not the "I am fulfilled and have found my sense of purpose" pleasure, which is more existential and spiritual. But, rather, an aesthetic admiration for the design/practicality of a thing. This last week, I ordered up a batch of stuff through Amazon. In early January, I'd cashed in some of the credit card rewards we get for buying everything with plastic, and used them for an array of perceived needs. That included getting a new and more potent router for our net-device heavy household. Also arriving was a Roku set top box for Netflix streaming to our bedroom. Those things...well...they're fine. They do what they were intended to do. But what I found delightful wasn't related to better consuming data from the interwebs. It was a little bit of extruded plastic, about eight bucks worth. 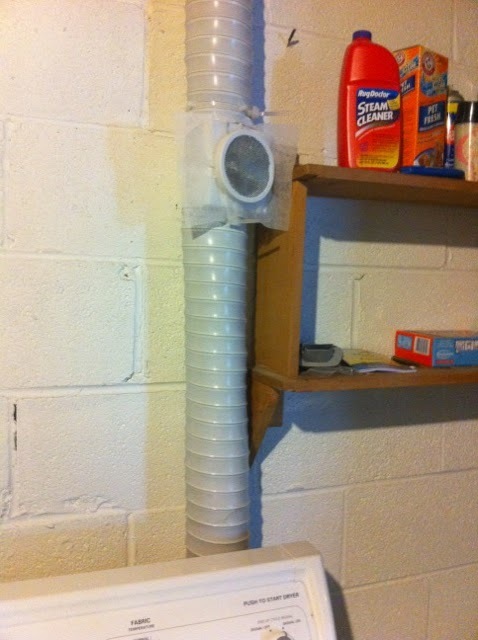 It's just a big plastic valve, and it attaches to the vent-tube of our electric clothes dryer. In winter, you switch it to the "in" position, and all that heated and humidified air that you used to be pouring outside gets vented into your home. It's such a simple thing, just a humble, practical and unassuming little object. Yet as I ran loads of laundry this week, and the always-chilly basement grew comfortably warm and filled with the scent of clean linen, I found myself inexplicably pleased with it, more so than with the vastly more pricey electronic doodads that shipped along with it. It eliminated wastefulness. It made things better. There is pleasure in such things, I think.